Even though there has been some significant growth in urban areas over the years, more than 76 percent of people in the developing world; 1.4 million who are extremely poor still live in rural villages, most of whom are smallholder farmers who depends largely on agriculture to make a living and or feed their families, the 2013 Annual Report of the International Fund for Agriculture (IFAD) has indicated. Agriculture has been the backbone of many developing countries contributing largely to their Gross Domestic Product. Agriculture, therefore, is seen as being effective in reducing poverty in rural areas. Yet, according to the Food and Agriculture Organization report on the State of Food Insecurity in the world in 2014, over 805 million people in the world with 200 million of them been children less than five years do not have enough food to eat while one in every nine people in the world goes to sleep without food. That same report also said that hunger kills more people throughout the world each year than Acquired Immune Deficiency Syndrome (AIDS), tuberculosis and malaria put together. And that more than one in four people in sub-Saharan Africa are chronically malnourished whiles Asia, which is the world most populated country has the most people who are not food secured. In Ghana, about 507,000 (40%) people are food insecure in the three Northern Regions. The situation always becomes worse between March to June and are considered as months of food insecurity and households have to adapt to various strategies for survival. “Our survival between March to June each has always been eating one square meal per day, that is, if your family is able to afford. Otherwise, most of us depend on wild fruits and vegetables during this season. The youth mostly will run to Southern Ghana leaving behind we the elderly in the community”. This seems a confirmation of the World Food Program report on food insecurity situation in Ghana that about 1.2 million people in Ghana are food insecure (WFP, 2009). Reducing hunger and poverty in Ghana, therefore, means increasing productivity and reducing food losses and waste within the food supply chain. Not only is an increase in productivity important, reducing postharvest losses is equally important as increasing production. Post-harvest losses occur in many stages before, during and after harvesting. These include the inability to harvest on time, poor handling during harvesting, poor threshing, drying, transportation, processing, and storage. 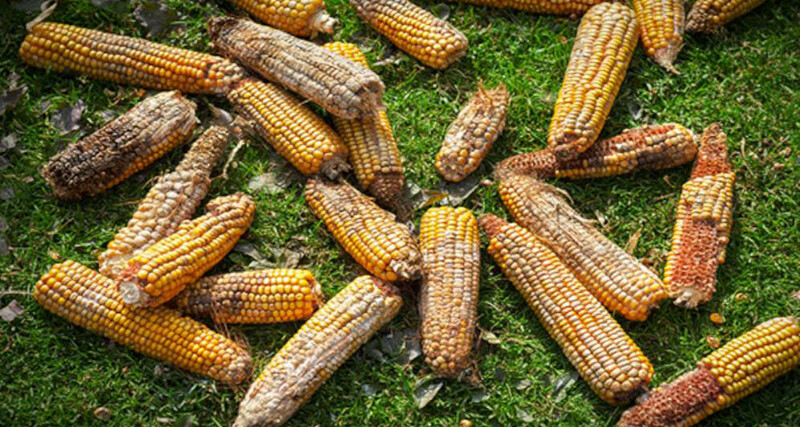 According to a research conducted by Dr. Bruno Tran; an expert in postharvest losses management in 2016, Ghana loses about 318,514 tonnes of maize (one of the major crops) annually to post-harvest losses. 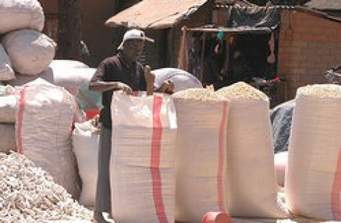 Another research conducted on post-harvest losses of maize in the Sissala East and Sissala West Districts in the Upper West Region in 2015 by a student of the Kwame Nkrumah University of Science and Technology (KNUST) has also revealed that more than 50 percent of maize produced was lost due to poor post-harvest handling. Inability to harvest on time: In many instances, farmers have little or no time to harvest crops like beans, maize or guinea when there are ready for harvesting. There are either attending to traditional events or doing other farm activities leaving such crops in the hands of rainfall, birds, and other rodents. Sometimes, large quantities of crops are destroyed on the farm before the actual harvesting. Poor handling of produce during harvesting: The use of outmoded tools such as baskets and sags also contribute to losses during harvesting. Using “Meeting Groups” such that each member is required to harvest a number of basins or bags a day through competition also encourage losses as many of the crops are often left on the farm r covered with leftovers or vines. Where a turned basket or sag is used, some crops are fallen on the ground. Threshing: This is most commonly used method of separating the grains from the chaff. At this stage, maize, beans, millet, guinea corn, etc. are beating using sticks. When this is done near the bush, some seeds will fall into the bush. As the foodstuff is gathered for threshing, rodents and bushfires sometimes attack them. “Everything is gone! I was expecting about 20 bags of maize this year, but all my investment is gone through this bushfire! I have nothing left to feed my family, I haven’t paid my children school fees and have not renewed my family health insurance. All my hope is gone”! In Ghana especially in the three Northern Regions, bushfires occur between November to December, a peak period to harvest crops like maize, millet, rice and guinea corn. During this period of the farming season, a small negligence could burn an entire farm. And because most of the crops are often due for harvesting in the same month, a lot of farmers are often busy on one crops whiles others are going wasted. Madam Bagberi is the 2016 Best Female farmer whose entire rice farm was burnt in November 2017. “I am finished! I saw the fire and left harvesting the millet to come and ensure that my rice farm was not burnt but as you can see, everything is gone! Not me alone but about 200 hectors of rice farms because we divide the land into plots for at least every woman in the village is burnt into ashes. This was why a made an appeal to the Ministry of Food and Agriculture during the presentation of awards to us last year that government should find alternative tools for farmers if we really want to take agriculture serious as a country. How can you use only sickle to harvest over 200 hectors of rice at the time we have other crops like millet, guinea corn, maize and Bambara beans ready for harvesting”? Winnowing: This is carried out to separate the grains from the chaff with the help of the harmattan wind. Losses will occur during this process as some seeds fall into the heap of chaff or into the bush by the wind. When there is no care, observing the direction of the wind. This method is often used for maize, millet, rice and beans processing. Drying: This is another method of preserving grains immediately after harvesting to ensure that they are well dried for storage. Grains dried in the yards or on the farm may be partially consumed by birds, rodents, thieves, and bushfires. Wind naturally blow grain away. Transportation: This the process of sending farm produce from the farm home. Due to bad roads and poor tools used, farm produce is often wasted on the way from the farm to the house. Roads in many farming communities in are in deplorable stages; with many not motorable especially during the harvesting season. Storages: This is the painful stage where farm produce are brought to the house but waste is incurred in any case for using such storage methods like silos and ash, neem nuts or leaves, Drums, pots, and containers. When produce is not stored well, animals and poultry often feed on them. When the wrong chemicals are used to store crops most at times becomes dangerous for human health as wrong chemicals are often used. 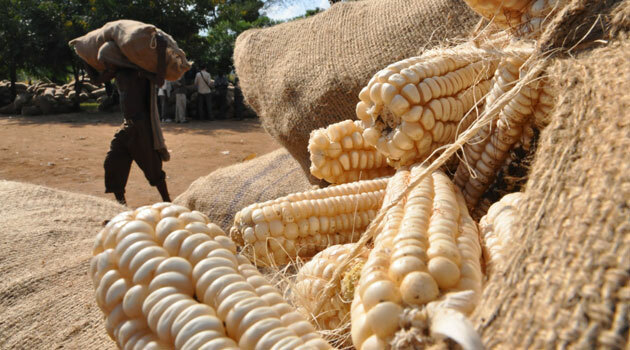 The overcome postharvest losses and reduce food insecurity in the country, the government through the Ministry of Food and Agriculture (MOFA) should invest in roads, storage and processing infrastructure. Government “One District One Factory” policy should be extended to rural farming communities where majority of these food stuffs are wasted. The agriculture extension agents need to be resourced to carry out their field activities that include combating postharvest losses. Also, the Ghana Fire Service bushfire campaign need not to only be intensified but have the law been applied! Though bush fires are yearly events in many rural farming communities, nobody has been arrested and punished for causing or burning the bush. May 29, 2018 in Business, LifeStyle.